Well, at £2.20 for the cheapest espresso it’s hardly a low cost option, and the two wood tables and benches around the windows provide only wooden stools and chairs, so comfort’s not premium. 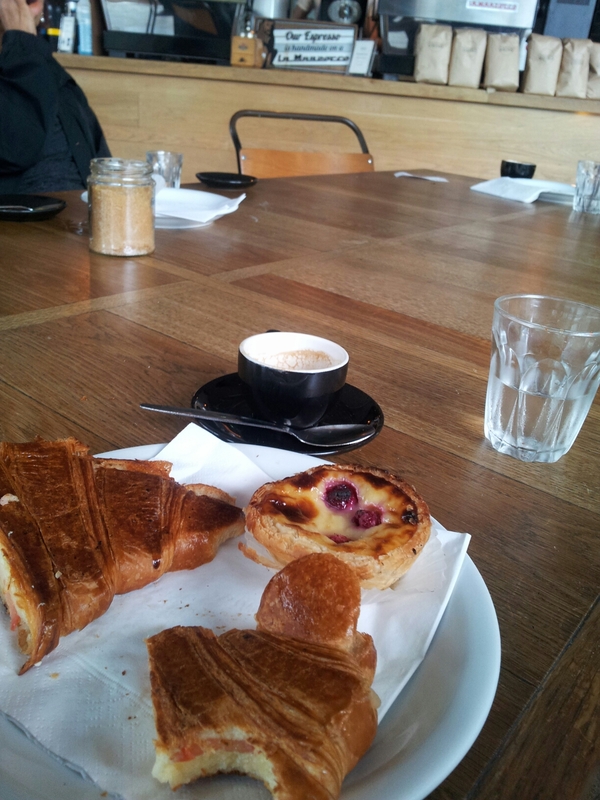 Service (on a Sunday morning) is business-like rather than friendly, and so slow that a croissant and espresso took nearly 15 minutes to be brought to the table (there were probably four orders ahead of mine). In fact, I had to remind staff of the food order. So it has to be the coffee that justifies the price tag. Right? Well, it’s nice – treacle-ish and powerful. It’s good coffee. But overall, this place was very hard to love. 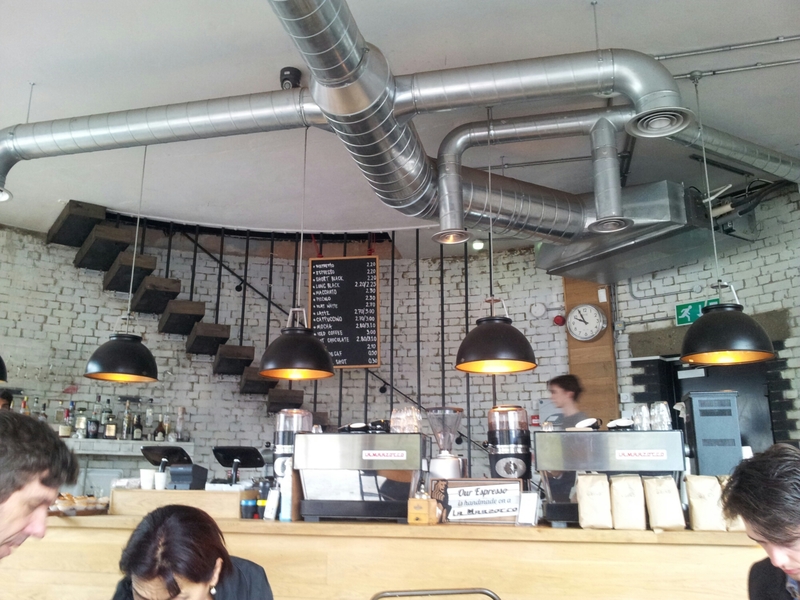 Posted on April 6, 2014 October 11, 2015 by espressolovinPosted in East LondonTagged coffee, Old Street, Shoreditch.